The north wall of the burial chamber depicts three separate scenes, ordered from right to left. 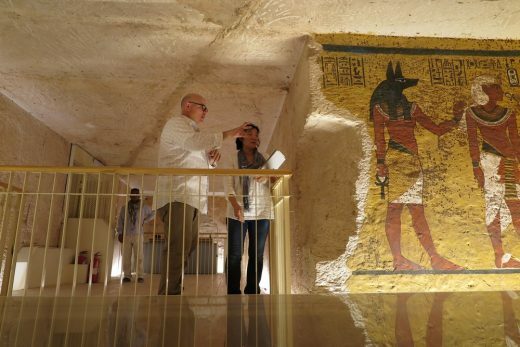 In the first, Ay, Tutankhamen’s successor, performs the “opening of the mouth” ceremony on Tutankhamen, who is depicted as Osiris, lord of the underworld. 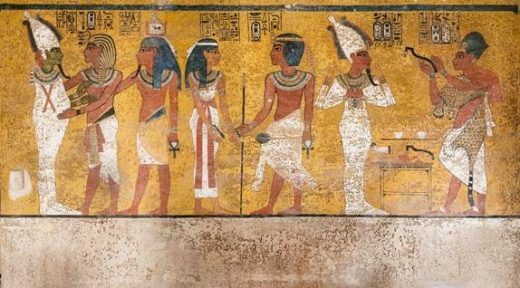 In the middle scene, Tutankhamen, dressed in the costume of the living king, is welcomed into the realm of the gods by the goddess Nut. On the left, Tutankhamen, followed by his ka (spirit twin), is embraced by Osiris. LOS ANGELES – The Getty Conservation Institute (GCI) announced today the completion of almost a decade of research, conservation efforts, and infrastructure improvements at the Tomb of Tutankhamen in Egypt, one of the best known cultural heritage sites in the world. 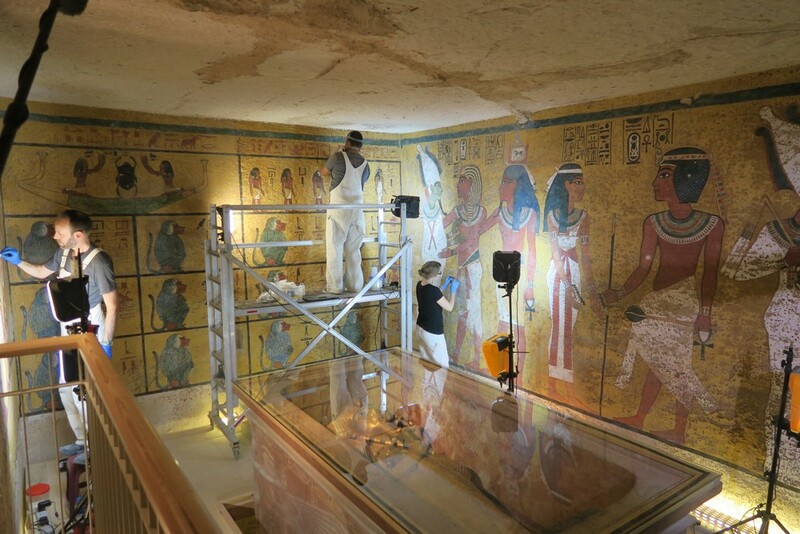 The project—a multi-year collaboration between the GCI and Egypt’s Ministry of Antiquities—focused on conservation and the creation of a sustainable plan for continued management of the tomb. 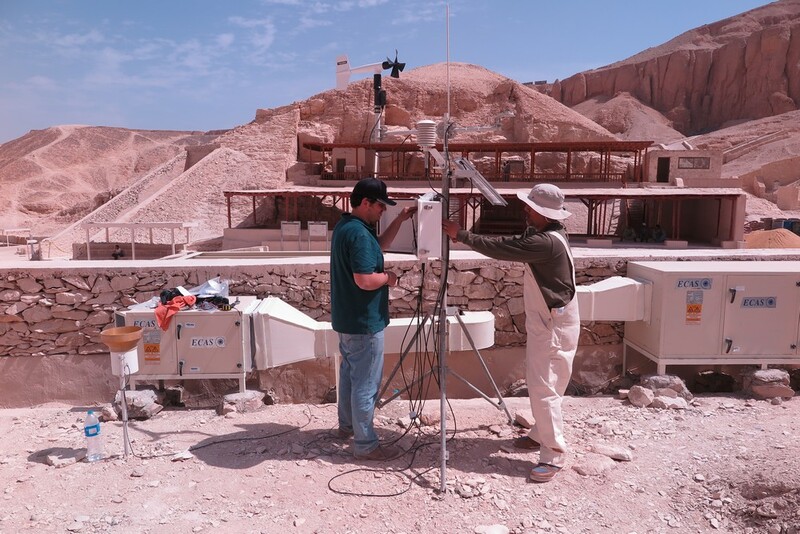 The GCI-Egyptian project went on to carry out the most thorough study of the tomb’s condition since Carter’s time. 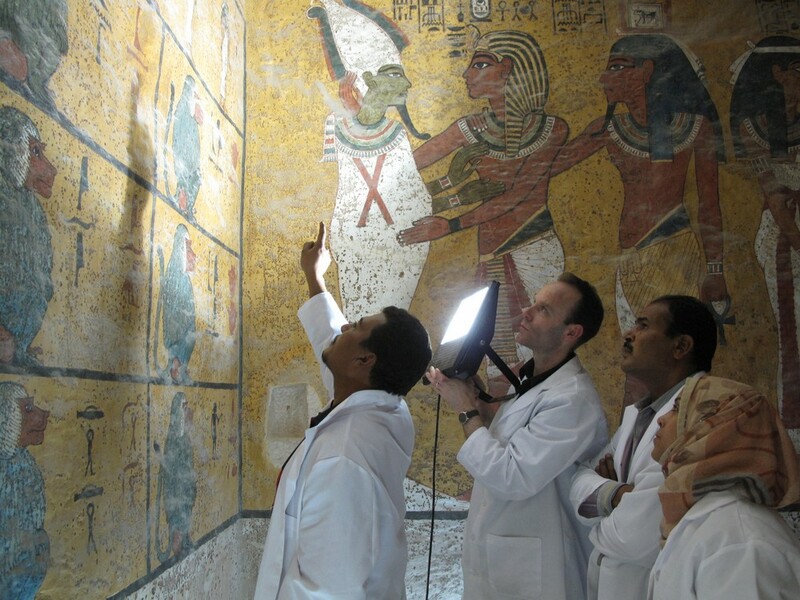 The team of experts included an Egyptologist to conduct background research; environmental engineers to investigate the tomb’s microclimatic conditions; microbi­ologists to study the brown spots; documentation specialists, architects, and designers to upgrade the tomb’s infrastructure; scientists to study the original materials of the wall paintings; and conservators to carry out condition recording and treatment.